The risk posed to equestrians by other riders, handlers, and even spectators, should not be underestimated, the findings of a study suggest. The study team analyzed 266 cases of riders being injured in horse-related incidents, finding that around 16% – that’s around one in six – were caused by other people. The researchers used accident data submitted by riders on an online form offered by the SaddleUp SAFELY organization, a coalition of more than 40 medical and horse organizations set up in 2009 to raise awareness of horse-related injuries and reduce their frequency and severity. 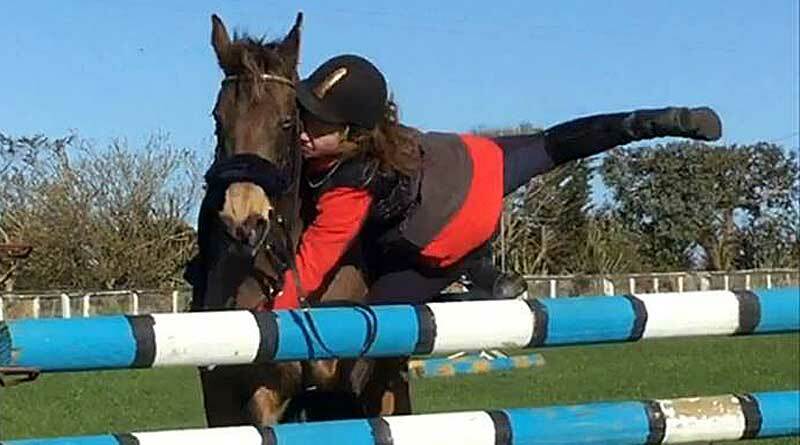 A panel of horse-riding safety experts assessed the accidents and felt that 63% were preventable. Indeed, the injured individuals themselves assessed that 51% were preventable. The causes of the injuries generated by other humans were further analyzed and grouped into one of five major categories. Poor riding behavior or etiquette. The study team noted that equestrians injured through the actions of another human were also more likely to be hospitalized (44%) than those injured due to other causes (21%). Why is the likelihood of hospitization higher among riders in accidents sparked by the actions of others? The study did not directly investigate the question, but the researchers believe the reason lies in the fact that riders are taught to focus on their own horse and immediate environment. They are therefore less likely to be paying attention to other humans. Thus, when an accident happens, they are less likely to have anticipated a problem and have less time to protect themselves. The researchers, writing in the Journal of Outdoor Recreation and Tourism, suggest that increased awareness of the role others play in causing horse-related injuries, and increased education about common people-caused injuries, could reduce the number of horse-riding and handling injuries. “We believe that education and awareness are paramount in avoiding preventable accidents,” they wrote. They proposed that horse-riding organizations and businesses such as guest ranches, horse parks, and training centers, which bring many individuals together with various levels of horse experience, should include an orientation to horse safety, especially noting the role of other humans in causing injuries. Orientation could explain how to avoid some of the most common accidents, they said. The study team acknowledged that horse-riding and handling injuries occurred to even the most safety-conscious and experienced riders. A 2007 study of 679 equestrians revealed that 81% had experienced at least one horse-riding injury in their lifetime and that 21% had experienced a severe injury requiring surgery, hospitalization, or rehabilitation. The percentage with a serious injury rose to 37% for those who were professional equestrians or instructors. A review of the medical and equestrian literature has shown that 38–64% of horse-related injuries are preventable. Riders need not think they are alone in facing risk from others. Research has shown that around 46% of bicycle accidents involve another person, with motorists involved in 45% of these cases, other cyclists in 41%, and pedestrians in 14%. The study team comprised Gombeski, Fernanda Camargo, Holly Wiemers, Connie Jehlik, Polly Haselton Barger and James Mead. William R. Gombeski, Fernanda C. Camargo, Holly Wiemers, Connie Jehlik, Polly Haselton Barger and James Mead.